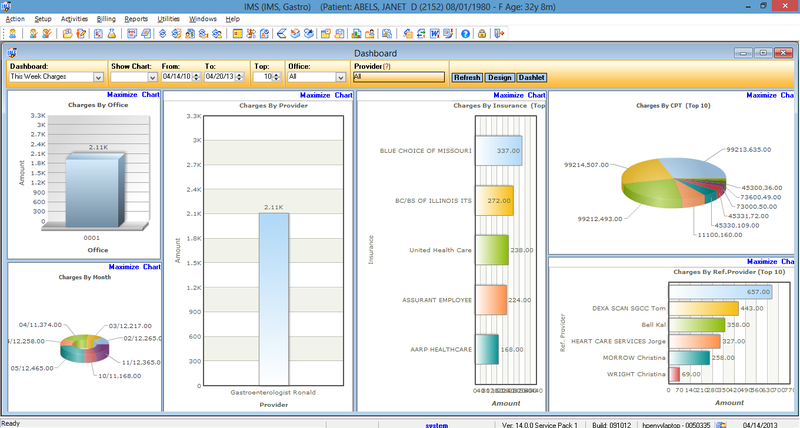 Our Gastroenterology EMR has a variety of graphs and reports built in. This allows practices to easily monitor their finances, Meaningful Use progress and clinical goals. Providers can also create custom reports from scratch, generated by categories such as provider, appointment type, procedure, insurance carrier, referring provider and more.